Faced with rapid digital disruption, evolving customer expectations and continued regulatory challenges, financial services institutions worldwide are looking for new and innovative ways to keep up with technology, improve customer service and reduce operational costs. Leaders in financial services across the globe have now turned their attention to the use of chatbots to meet these goals, which hold great promise to transform the entire industry. A chatbot is a virtual robot that relies on a series of decision-making logic to converse with people in their native language via messaging apps or chat-windows. The rise of chatbots began with the proliferation of social media apps, e.g. Facebook Messenger, WeChat, WhatsApp and Line, etc. Over the past decade, businesses have been exploring ways to utilize chatbots to facilitate better communication with their customers and address their needs in an efficient way. More recently, the rise of machine learning and data analytics has taken the technology further by enabling chatbots to ‘learn by experience’ after multiple rounds of interaction with customers. In the future, the personalization of responses can thus bring greater value to the customer experience by building a stronger relationship between the chatbot and the user. The typical use case for chatbots is frequently asked questions (FAQ) – answering common questions from customers within a few conversations. Chatbots can also support basic service requests, fraud detection, proactive product advisory, internal transaction processing, etc. In the banking industry, top banks such as Bank of America, JP Morgan Chase, Capital One have launched their own chatbots. Businesses across the globe are finding that chatbots can help improve the customer experience and reduce operational costs. Zooming into the financial industry in Hong Kong, banks and insurance companies have started experimenting with chatbot technology, both internally and externally. Externally, chatbots can be a platform for customers to raise simple FAQs and queries of one’s account; while internally chatbots can serve as an interactive search engine for staff to look for resources. With a wide range of potential applications, chatbot technology offers to bring extraordinary business benefit to the financial industry. Customer has a question, but fails to find an answer in the bank’s FAQ webpage. Customer browses a few pages in the website but fails to find relevant information. Customer calls the service center. Customer follows the complex Interactive Voice Recognition (IVR) instructions and gets directed to the customer service manager, but is informed that the service is only available during office hours. Customer calls the service center again during office hours. The IVR process repeats. All lines are busy, and customer waits for 30 minutes to get served. In the above scenarios, the customer’s question can be as simple as “If I am not a Hong Kong permanent resident, what additional documents do I need to bring to open a bank account?” However, it may take up to an hour for the customer to get the answer, and eventually the customer would give up, feeling annoyed. Chatbot technology can shorten the enquiry process to one minute with a few conversations between the customer and the bot. Chatbots have several competitive advantages, when compared to self-service channels (e.g. IVR) and service agents (call center): Availability, relevancy, scalability and data collection. IVR cannot answer specific questions on product features, fees, etc. Hierarchical structure makes IVR unnecessarily complex and inefficient. For example, the customer may realize the wrong option is selected after going through a few menus. The customer then has to go back to the main menu, listen to the instructions again and select another option. Implementing a chatbot would avoid these limitations. Chatbots can answer more questions than an IVR. For instance, the virtual assistant of DBS Singapore supports more than 10,000 frequently asked questions. This allows the chatbot to resolve most of the repetitive questions and service requests. In addition, with Natural Language Processing (NLP) capability, chatbots are able to interpret the specific customer types, which avoids the complex hierarchical IVR structure. With chatbots, customers can finetune their query with better key words. The conversational interactions improve the effectiveness of customer communications. The rise of search engine and recommendation systems demonstrates the importance of information relevancy. We live in an age of information explosion. A single webpage may contain thousands of words; while to a specific query, probably only two or three sentences are relevant. Similar to search engines, customers now expect to find accurate answers within a few clicks. The chatbot is able to meet that expectation by analyzing what the customer needs and providing the most relevant information. Chatbots can also send relevant information to customers proactively. For example, Bank of America’s chatbot, Erica, can analyze a customer’s portfolio and make money-saving suggestions to the customer. From the customer’s perspective, they will only get relevant information which they are concerned with; and from the bank’s perspective, the cost effectiveness of a relevant push notification is much higher than mass marketing such as cold calls. Financial institutions may also adjust the chatbot according to customer’s reaction rate so as to continuously improve the information relevancy. Service agents have high operation costs and can serve only one customer at a time. Often, the customer needs to wait for a few minutes to reach the customer service manager, especially during peak hours. Chatbots do not have that limitation – a chatbot can serve multiple customers at the same time, which eliminates waiting time. Also, with scalable architecture, the chatbot can easily scale up when necessary. For service agents, new people need to be hired and trained, which is costly and time consuming. The scalability of the chatbot allows it to provide reliable and consistent service to customer in the long run. The purpose of chatbots is not to replace call centers, but to handle simple and repetitive tasks (e.g. account balance enquiry) so that the call-center resources can be reserved for more sophisticated cases that can be handed off from chatbots. Chatbots break the traditional one-way communication in self-service channels (e.g. website FAQ). Every customer input in the chatbot can be valuable – correctly answered queries help financial institutions to understand what topics customers are most concerned with; incorrectly answered queries help financial institutions adjust and enrich the chatbot database. Kudritskiy, co-founder of Rocketbots, highlights that a key feature of the chatbot is it can learn from mistakes, which is not feasible for the traditional self-service channels. For example, on eBanking websites, a customer is not able to click a button that does not exist, but as the website cannot capture customer’s intention, the bank would not know if a customer has such a request. With chatbots, the use case can be captured. If the use case is common, banks can enrich the question database to include it. In addition, some chatbot solutions proactively request customers’ feedback to self-improve the algorithm. For example, the chatbot solution offered by Clare.AI has a feedback mechanism that allows customers to rate the helpfulness of the chatbot’s answer. The feedback helps the chatbot to self-improve the algorithm to provide more accurate answers in the future. In Hong Kong, banks and insurance firms have already started using chatbots to serve their customers to improve the customer experience and to reduce operational and servicing costs in the long run. Within the retail banking space, Hang Seng has launched HARO (which stands for ‘Helpful, Attentive, Responsive, Omni’) to handle queries on general banking products and services, and DORI (Dining, Offers, Rewards, Interactive’) to manage search queries on credit card offers and provide personalized recommendations[i]. Standard Chartered Bank has also announced plans to launch their chatbot powered by the US-based Kaisisto’s platform to handle general customer banking queries[ii]. Besides retail banking, HSBC launched ‘Amy,’ which assists small corporates on business banking account queries. Insurance firms like Prudential and A Plus International are also planning to launch chatbots for customers on account queries, and also for their large agency workforce to retrieve customer policy information. These use cases in the region show that although financial institutions have started to take the step forward in embracing chatbots and make use of the technology to enhance customer service, the growth remains slow. 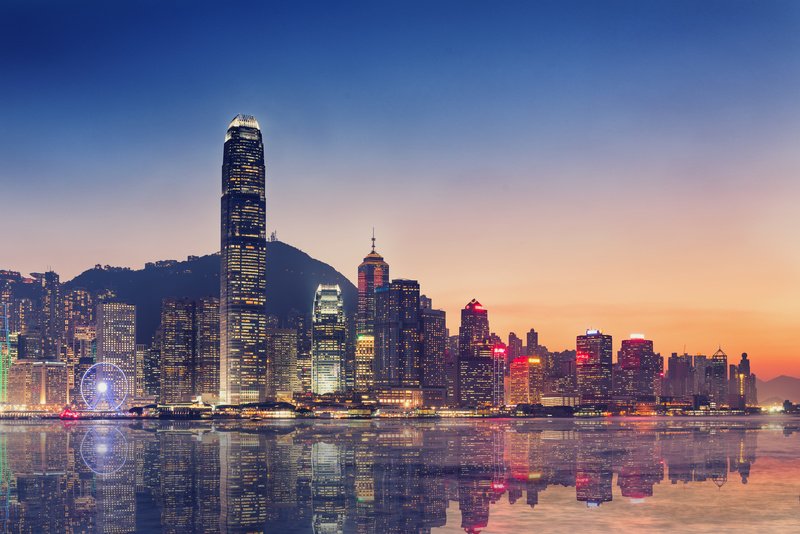 This can be due to the complexity of the Cantonese language and the regulatory landscape in Hong Kong. Chatbots will have to take into consideration the cultural context, local slangs, and colloquial terms (including usage of combination of English and Cantonese) in order to fully master the native language of the customer and answer her query effectively. Considering that the spoken and written Cantonese styles are quite varied, teaching the chatbot through NLP might not be as straightforward as other languages such as English. Clare.AI, one of the Hong Kong chatbot companies, has built its own Cantonese NLP engine that leverages publicly available information and the (client) banks’ proprietary data such as question banks and call logs, such that its chatbot specializes in understanding conversations regarding finance. [iii] Even with that specialization, the chatbot achieves about 70-percent accuracy – leaving room for further improvement. Compliance and security is another factor that contributes to the slower growth. However, as part of the strategic move to drive innovation within the industry, Hong Kong Monetary Authority (HKMA) has created an initiative named Fintech Supervisory Sandbox (FSS) to allow banks to collaborate with technology firms to conduct pilot trials that target small customer groups that do not necessarily comply to the full set of requirements[iv]. This could potentially close the gap between Hong Kong and other nearby regional markets such as China, where chatbots are ubiquitous. With that said, the current direction seems more focused on enhancing existing channels for customer service queries, and it might take a while for the financial institutions to leverage the other benefits of chatbots such as transaction executions, due to the strict security and compliance issues. After figuring out “Why do I need a chatbot,” the next question financial institutions may have is “How can I implement a chatbot solution successfully?” Our recommendation is to start simple, improve the chatbot continuously, and combine chatbot and human agents for better customer service. Instead of developing a sophisticated chatbot solution, we suggest financial institutions start with a focused pilot with simple use cases. Financial institutions may be concerned with the effectiveness of the chatbot, as a chatbot that cannot interpret customer enquires accurately may create a negative branding image. With a pilot, the project scope is controllable and the service result can be monitored afterwards. Lessons learnt can be taken from the pilot for subsequent releases. The pilot can be conducted as a soft launch as well, so that real customer feedback can provide more insights for future iterations. Also, technology evolves rapidly. To stay competitive, financial institutions need to keep up with the pace of the latest technology. Large-scale system implementation takes a long time, and the chatbot technology may have already changed by the time it is launched. Instead, a focused pilot can be implemented in a much shorter timeframe, e.g. around 12 weeks. With flexible and modular architecture, new technology can be easily adopted to improve the chatbot solution. Continuous improvement of chatbots is necessary. The pilot programs cover a small set of use cases. Financial institutions need to monitor the service results (e.g. accuracy rate), analyse the most common queries and adjust chatbot algorithms accordingly. In the subsequent release, more advanced functions such as proactive recommendations may be applied. In Hong Kong, due to the complexity of language and customer typing behaviour, the chatbot may misinterpret some queries initially. However, over time when more data are collected, the NLP algorithms can be adjusted to adapt to the behaviours and provide more accurate answers. Chatbot implementation is not meant to replace human agents. The chatbot does have a few limitations, such as dealing with sensitive use cases. Involvement of human agents in these conditions can provide better customer experience, as humans can show empathy in conversations and handle sophisticated logic. We recommend taking a hybrid approach combining the chatbot and human agents. Many chatbot solutions have the capability to detect customer emotion. When negative emotion is detected (e.g. customer complaint), the case can be routed to human agents for further support. With the help of artificial intelligence (AI), we believe that the advancement of NLP will accelerate in a faster pace. This enables the chatbot to understand more complex language, e.g. Cantonese, mixed language etc., so that the chatbot can respond to customers’ queries with higher relevance. In addition to accuracy, it is also foreseeable that chatbots can be fine-tuned to play the role of ‘personalized assistant’ as a result of analytics on target audience’s choice of words, mood and personality to fit social style of the individual user after deeper level of learning. And in return, chatbots can also be utilized as a channel for data collection so that the financial institutions can prioritize their resources to better serve their customers. While the majority of chatbots in the market serves the purpose of simple FAQ, chatbots have the potential to ‘take up’ higher level of capability. Imagine if you can instruct your chatbot via the messaging app to do a simple fund transfer and it will request all the information needed to complete the transaction, while saving your time and effort to look for the fund transfer page in a multi-layered internet banking website. Then, the chatbot will collect the information you provided, verify your identity and execute the transaction. With the chatbot serving as a 24/7 assistant, your financial needs can always be addressed and managed on one single platform. As mentioned above, chatbots serve as a new channel for business-customer interaction. This implies that financial institutions can transform the core products and services, leveraging the chatbot platform for promotions, personalization and execution. For example, insurance companies can connect chatbots to health-monitoring devices. When the connected device detects a body condition anomaly, the chatbot can serve as a channel to alert the user and recommend the nearest medical service provider at the same time. For mobile payments, similar to the use case of a chatbot-initiated fund transfer, customers can simply place an instruction with a chatbot to execute a bill payment or purchase order after verifying one’s identity. At a later stage, chatbots can even integrate with the robo-advisor to provide financial suggestions to the customers based on the analysis on their financial condition. This article has been co-written by Cherry Ren, Jeffrey Ng and Kylie Wong. How can we tap into the global potential of Toronto’s fintech industry?